Bumblebee, that Transformers spin off in theaters now, is a story about a massive yellow robot who saves the world from the Decepticons. However, did you know that you too can help Bumblebee save the world. Heck, you can help Bumblebee save a world even more important than the one in Transformers — our own! 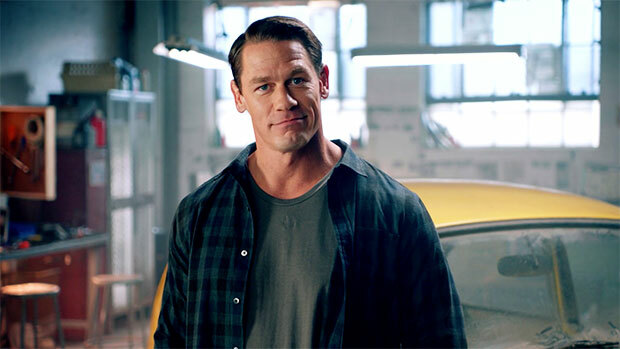 Thanks to John Cena and The Thirst Project, Bumblebee and Paramount Studios is dedicated to raising money to help create clean drinking water to those who need it most. All you need to do is text BUMBLEBEE to 97779 to learn how you can get involved. That’s right, just texting the name of the cutest Transformer can help save the Earth. What a gift. Bumblebee and Thirst Project teamed up to provide safe, clean water to those in need. Thirst Project is a movement of young people working to end the water crisis, and we need your help. Text the keyword BUMBLEBEE to 97779 and pledge and get involved and learn how you can use your voice to fight the water crisis. For each message we receive, Bumblebee will donate a dollar up to $24,000 to the Thirst Project to help build water projects to give safe, clean water to those who need it most. Don’t forget to see Bumblebee, in theaters now, and make sure to spread the word about this incredible movement.